We love to take a drive out into the countryside in the Spring of each year when the bluebonnets and other wildflowers are reputed to be at their peak in Texas to take some pictures. Many people have the same idea. When the cars start stacking up on the sides of the roads one can pretty well rest assured that a beautiful sight lies ahead. With cameras in hand, the cars are vacated and people wander into the fields to see and record that year's bounty of bluebonnets and other wildflowers of every hue and description. Many photos are taken particularly with the vast fields of bluebonnets in bloom. Children and adults like to pose with those iconic wildflowers. We have seen people taking pictures of their pets amidst the bluebonnets as well. 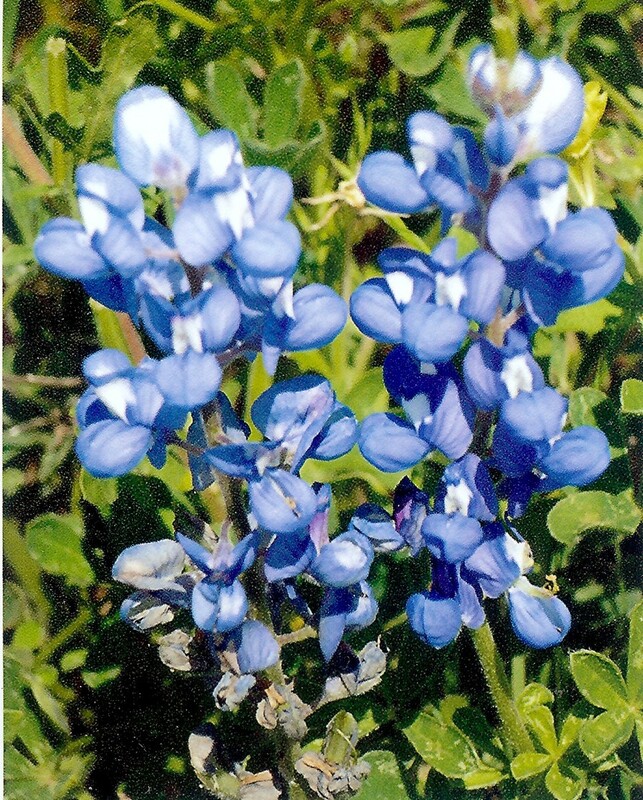 Did you know that the bluebonnet is the official state flower of Texas? It was designated as such as far back as 1901. 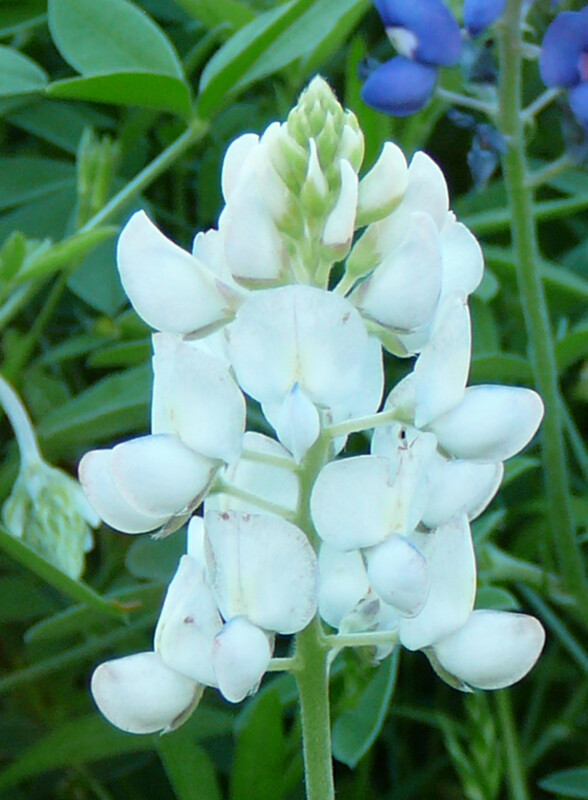 Bluebonnets are not all blue in color despite the name. 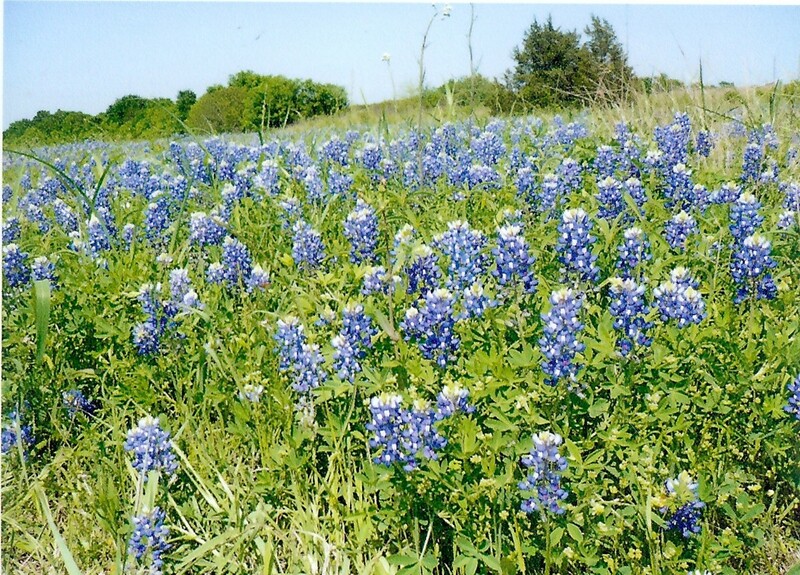 Depending upon the weather bluebonnets can bloom anywhere between March to May. Local radio and television stations keep people updated each year as to when they are in their prime. Long before we moved to Texas, we heard accounts from my grandparents who vacationed in Texas during the long Wisconsin winter months about the splendor of the bluebonnets and other beautiful wildflowers in the Lone Star State. 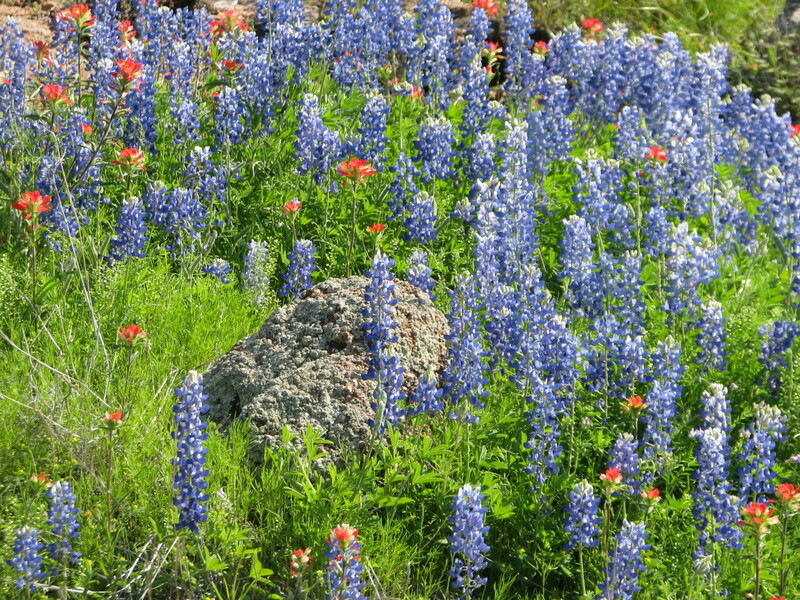 It is truly amazing to personally see bluebonnets adding seasonal color to a wide variety of landscapes. They are considered to be a hardy winter annual. If left to go to seed as is common along highways where the ground is mostly undisturbed, they can reappear year after year. If people wish to have them growing in their own yards they must not mow the grass until this natural reseeding takes place. When President Lyndon Johnson was in office—from 1963 to 1969—his wife "Lady Bird" made beautification and the seeding of wildflowers one of her prime points of focus. Shrubs and trees were planted. Wildflower seeds were sown—not only in Texas—but all across America. She deeply cared about the environment. Partly due to her efforts, the Highway Beautification Act was passed in 1965. Now many of the highways all across our nation are blessed with the natural beauty of wildflowers. 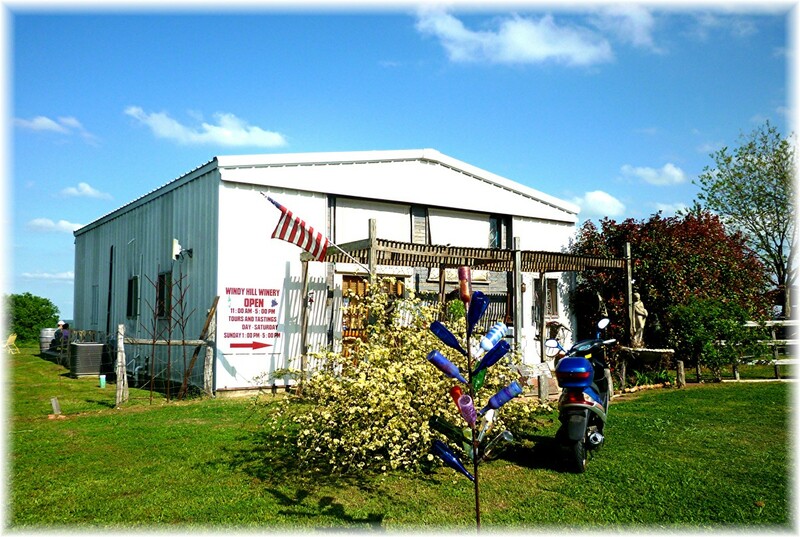 In 1982 Lady Bird Johnson along with Helen Hayes founded the National Wildflower Research Center. She personally donated 60 acres of land plus over $100,000 to further these efforts. On Lady Bird's birthday in 1998 it was renamed in her honor. 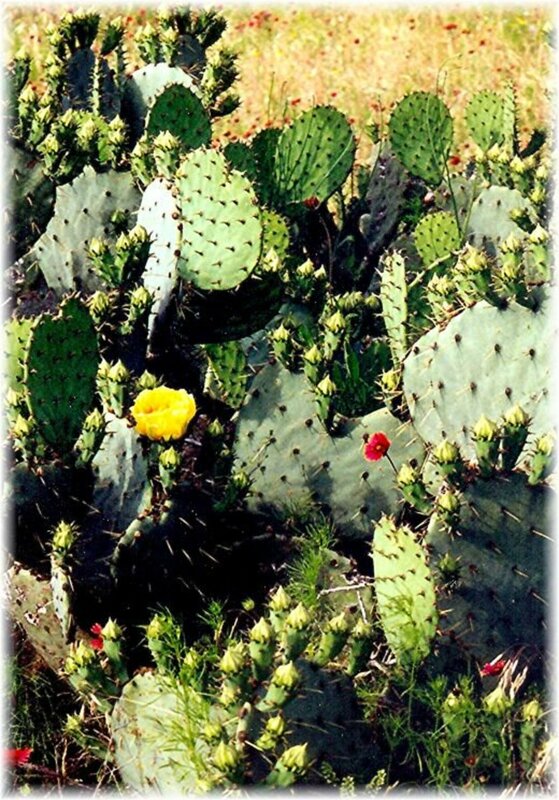 The Lady Bird Wildflower Center continues the research and work of environmentally making our land beautiful and sustainable for future generations of people. The roads today are splashed with an array of colorful seasonal flowers and can be enjoyed year after year as most all of the wildflowers are self-seeding and therefore generate the next year's crop of eye-catching beauties. Lady Bird Johnson Home Movie #1: Spring-Fall 1940. 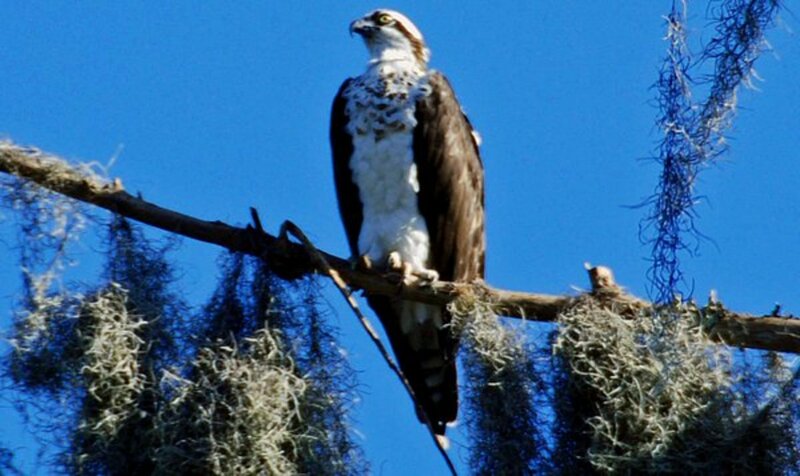 Narrated by her showing Washington & other landmarks, plus her interest in nature. Springtime generally offers a spectacular show of blooming wildflowers in most areas of the country. We can thank Lady Bird Johnson for the heightened awareness and implementation of this beautification project and its impact on the environment. She has left behind a beautiful legacy and we can feast all of our senses because of her efforts on behalf of all Americans. Hope you enjoyed my pictures. 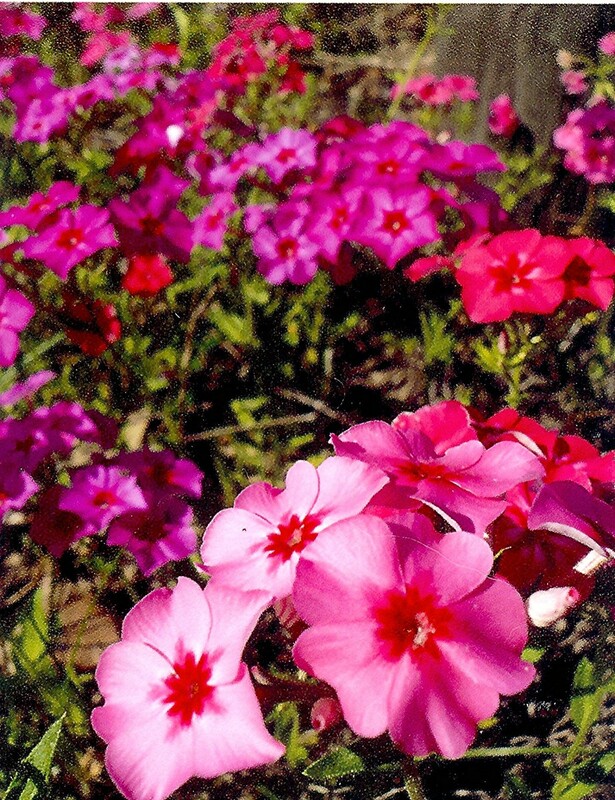 Now get out there and photograph some flowers of your own! 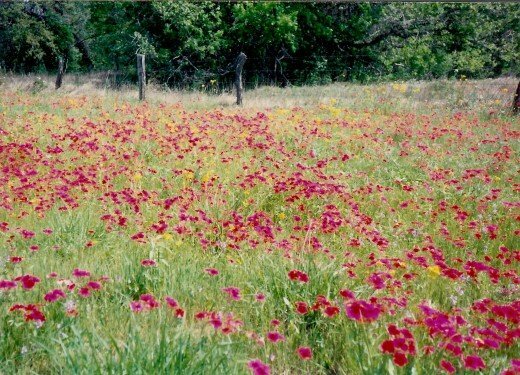 If you happen to be living or visiting in Texas I will show a map of where we enjoy seeing the wildflowers every Spring. Other areas of Texas have them as well. These are sites not far from where we live in Houston. Locations where we find vast fields of wildflowers each Spring. 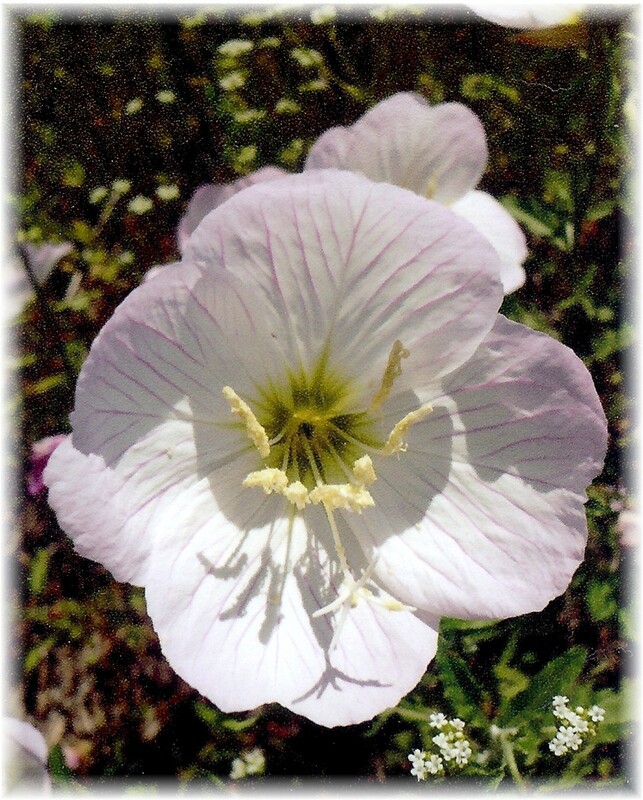 Do you enjoy taking pictures of your area's wildflowers? I'm not a photographer but enjoy seeing them each year. Be forewarned...if you start watching this video, you won't want it to ever end! I remember about the time she was making the effort a magazine posted a picture of a stretch of highway that was layered with road signs. The caption was after that title "look up that loathsome road". It was a play on words of a popular song. Lady Bird Johnson did much to enhance the beauty on the sides of our highways. She will always be remembered for that. Those are beautiful pictures. I remember Lady Bird Johnson's highway beautification efforts. They have a small park named after her near the Pentagon. I visited President Johnson's boyhood home once. 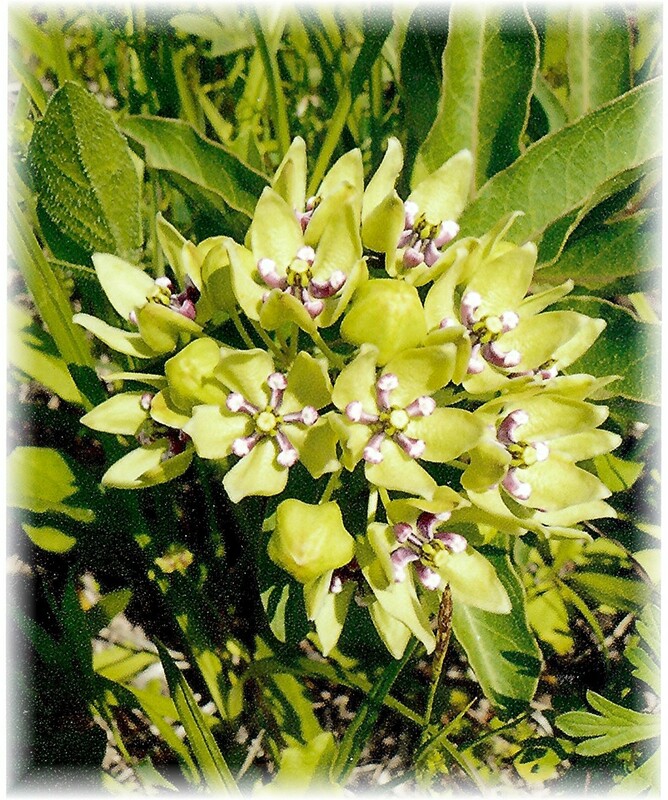 Drought conditions can certainly affect such things as blooming wildflowers. We still have plenty of them down in these parts. 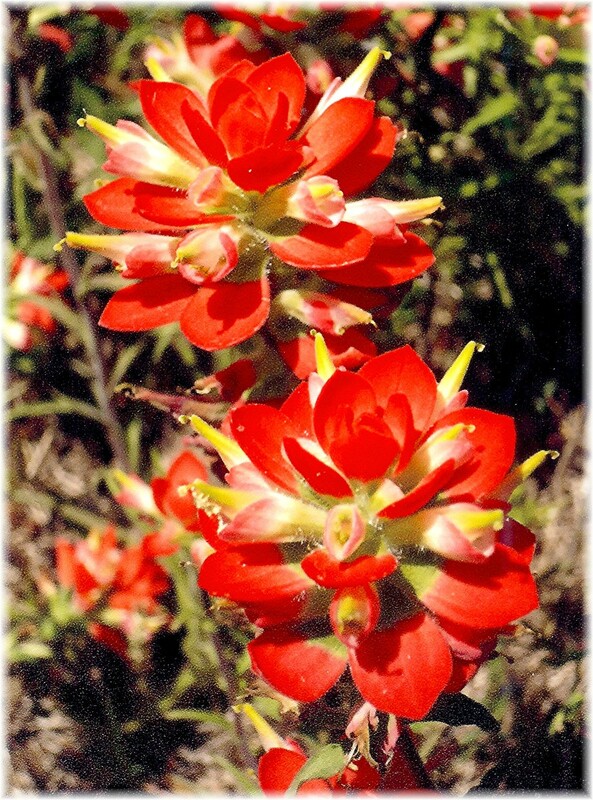 There are some types of wildflowers along the roadsides blooming even now in this summer heat. Wild flowers used to be profuse up here which is why I always loved spring in Texas best, of all the seasons. 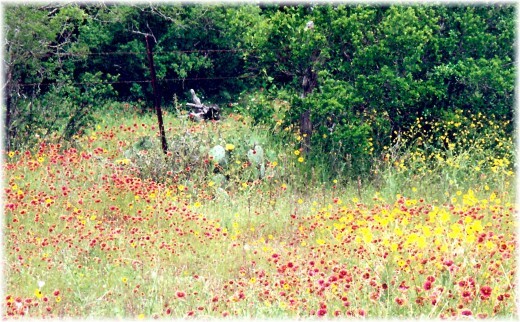 I haven't seen any wild flowers for several years now and not a single bluebonnet in all that time either. I wonder if our drought is the problem, or if it's something else. We are to have temps between 100 and 108 starting this coming Saturday and for several days to come. :(( Hope you are staying cool down there in Houston. We saw masses of blackberries in bloom yesterday as my hubby and I were walking through the forested pathways of our Houston Arboretum & Nature Center. The blossoms are quite beautiful! The bluebonnets in this region of Texas are now in full bloom. Pretty time of year! The bluebonnets down in our part of Texas are now in full bloom and should be that way for a while. Appreciate your pins and the share. Happy Easter to you! Love to see the bluebonnets blossoming. This year where we live I think we are getting a lot of blackberry flowers in bloom. Texas has everything. 5 regions, each the size of an average state like Wisconsin, Illinois, or Iowa, and each region different from all the others. When it comes to landscape and climate, Texas has it all. 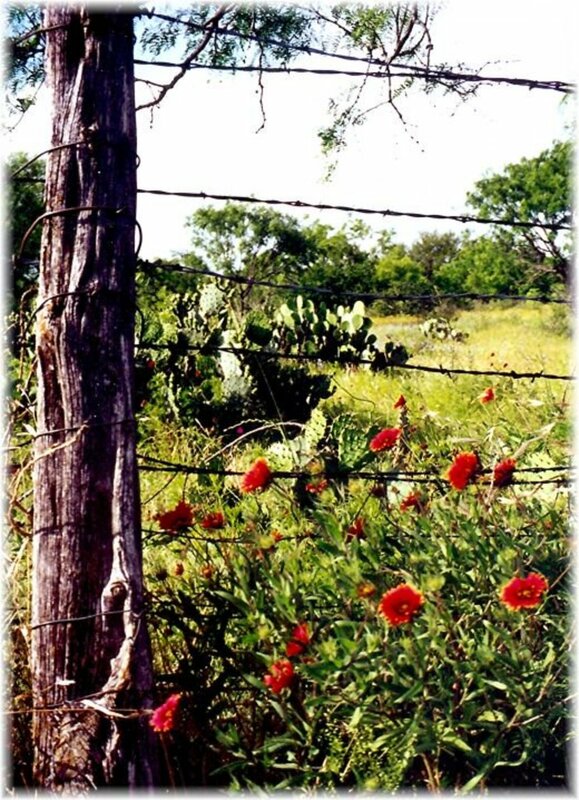 It should be about time for the bluebonnets and other wild flowers to be profuse along the roadsides. 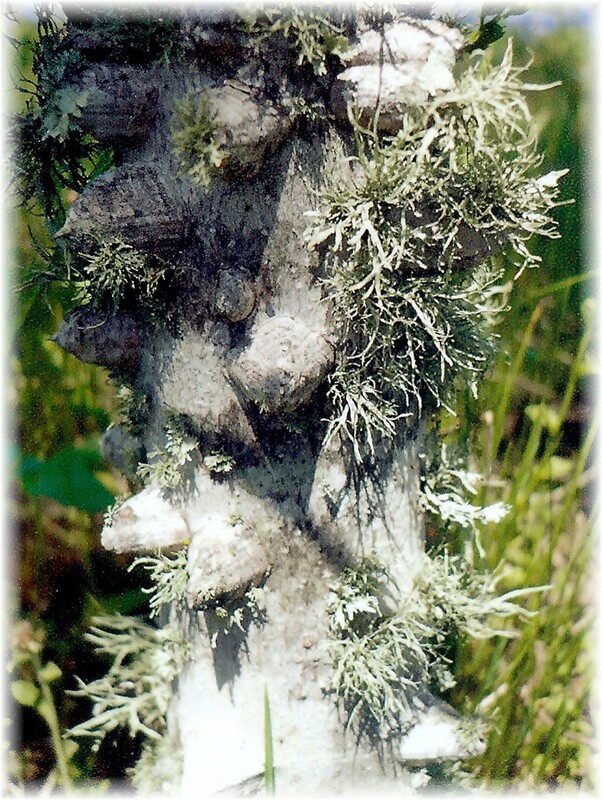 I've seen a few here and there, but usually they are everywhere along with the domestic flowering trees, etc. Expect the middle of this month through the middle of next month would be a perfect time for visitors to come to Texas to see all the lush green, and flowers, etc. Pinned this excellent article to 2 of my boards, the "Green II board," and the "White II board." and will share with followers. Again, have a wonderful Easter! I think that most people appreciate nature and the spring flowers are always welcomed. Appreciate all of the votes up. Thanks! Those flowers are beautiful ! I love them since I also like to take pictures of flowers and animals in nature. 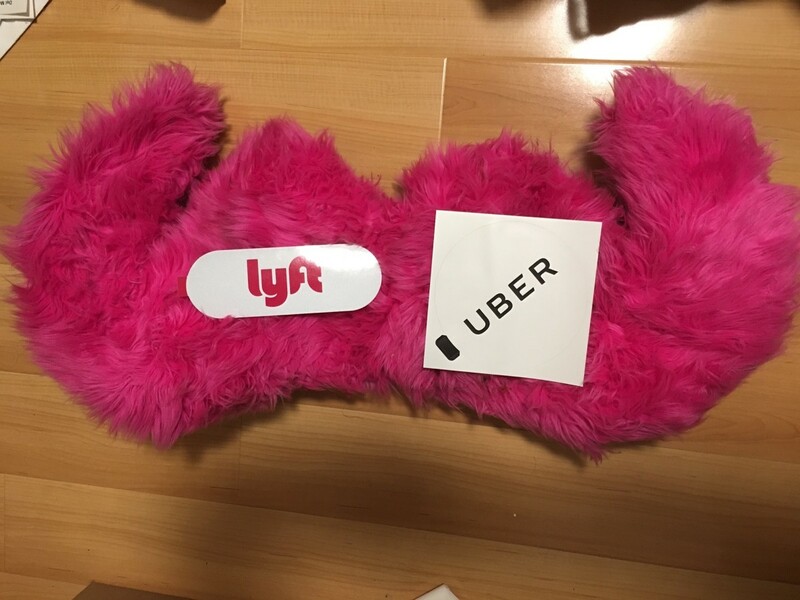 Vote up you hub as beautiful, awesome and interesting. How beautiful and colourful. I always imagine Texas as such a dry desert type place, what a revelation. Lovely photographs. I agree with you in that Spring in Texas is surely a beautiful time of year especially with all of the abundance of bluebonnets and other wild flowers in profusion. Thanks for the shares. The wildflower season will soon be here. Came back to share this excellent article full of beautiful photos with my followers again, and pinned it to my 'Fuschia' board. Spring is my favorite season in Texas because everything becomes lush and green and wildflowers and domestic flowers alike are profuse and so beautiful. It has been an unusually cold winter in Texas. I noticed the bluebonnets are really coming out along the bayous and other places in Houston now. We will have to take a trip out into the countryside soon. Hope you soon see them in your area. What a long cold winter we have had this year! Lots of our blossoming trees have had those beautiful blossoms frozen off and I noticed the trees by my balcony gave only a weak effort and starting over when that happened this year. They're leafing out and the blossoms were a total loss. As a result of the unusually long and cold winter, we haven't had any wild flowers up here yet this spring. We usually have acres of them in February already. The temperature is still dipping pretty low at night. You have such beautiful photos here. I'm pinning it again, this time the photo of bluebonnets to my 'Blue II' board. I agree that Texas has some fabulous natural landscapes. I love this time of year when the wildflowers add those colorful touches to what we view. Thanks for your comment. The bluebonnets are finished blooming down in our area but the other wildflowers are abundant and certainly brighten up the roadsides. Thanks for the additional comment and share. Nice that you are enjoying them in your part of Texas. Stunning photography, PeggyW. These pictures are absolutely beautiful. The Texas landscape is wonderful in its natural state. Lovely. The wildflowers have been profuse for several weeks up here in North Texas. The roadsides are covered with them. You have great photos here and I wanted to share them again with my followers. This is such a glorious time of year to view the bluebonnets and other wildflowers in Texas. 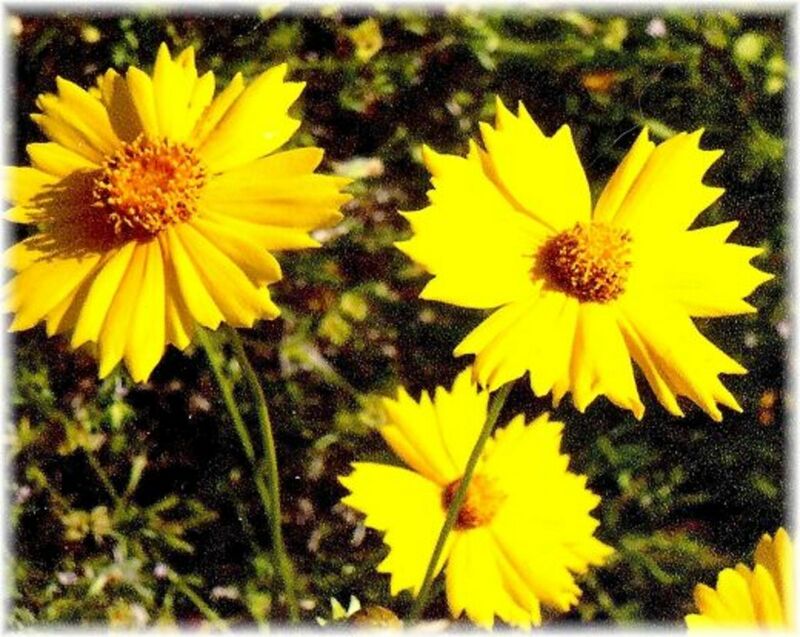 Nice to know that wildflowers bloom in all of our states and at different times of the year. Glad that you enjoyed these photos. Appreciate your comment and votes. The bluebonnets are truly beautiful. I love to see wildflowers. Voting up and beautiful. Thanks for sharing your pictures. Photographing wildflowers is definitely a fun activity. Not only are the flowers beautiful, but obviously it gets one out into the countryside which is also a nice break from the norm for those of us who live in cities. Appreciate your comment. I find a vicarious thrill while photographing wild flowers. Your pictures are lovely. So very glad to know that you enjoyed this hub about the Springtime wildflowers and Lady Bird Johnson's efforts in spreading them across the roadways of the U.S. They certainly are a visual treat! Appreciate all the votes + the share. Texas is definitely beautiful in the Springtime of year. Am sure that when it warms up your area is also beautiful. Our bluebonnets are in full bloom all around town. We will have to take a drive out in the country to see more of them sometime soon. That is a jaunt that we always enjoy! Thanks for your votes and the share. Lady Bird Johnson was a true lady and a wonderful first lady of our land. Her legacy is indeed a beautiful one! So happy to know that you enjoyed this hub. Thanks for the votes and share. How stunning your photos and collection of videos are! WOW . . . I am flower mad and there is nothing more beautiful in the flower world than wildflowers. The varieties you captured are so gorgeous. 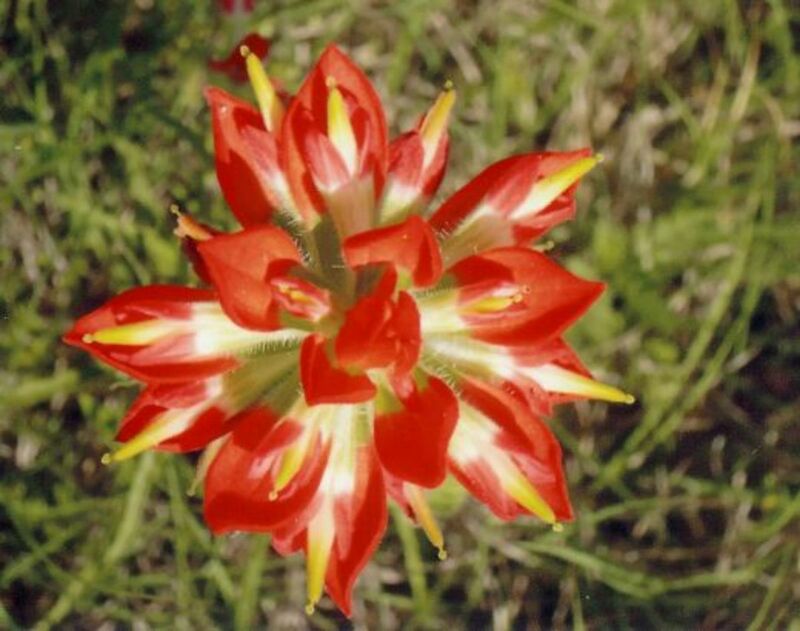 I love the Indian Paintbrush, not a flower I know. Great info and I really enjoyed learning about Lady Bird Johnson and her great efforts in promoting wildflowers. Stunning work as always Peggy on my favorite season too! Voted Up,Useful, Interesting, Beautiful, Shared and Pinned! What beautiful pictures. I'll have to go through Texas in the Spring sometime - what a beautiful sight. Voted up, beautiful, and interesting - and sharing. So happy to know that you enjoyed my photography as well as the videos that I gathered together showcasing the gorgeous wildflowers that we have in Texas each spring. The bluebonnets are now in bloom! Thanks for your comment + the share. Wow, how totally gorgeous. This is the best chronicle of spring wildflowers I have ever seen! Thanks for sharing, and I will also share! I agree with you. Seeing wildflowers along the roadways is such an uplifting and beautiful sight to behold. I added a home movie taken by Lady Bird Johnson in 1940 and it shows not only historical landmarks and such...but also her interest in gardens long before she became the First Lady of the land. Thanks for your comment and the wishes of angels. Gorgeous photos of Texas wildflowers. 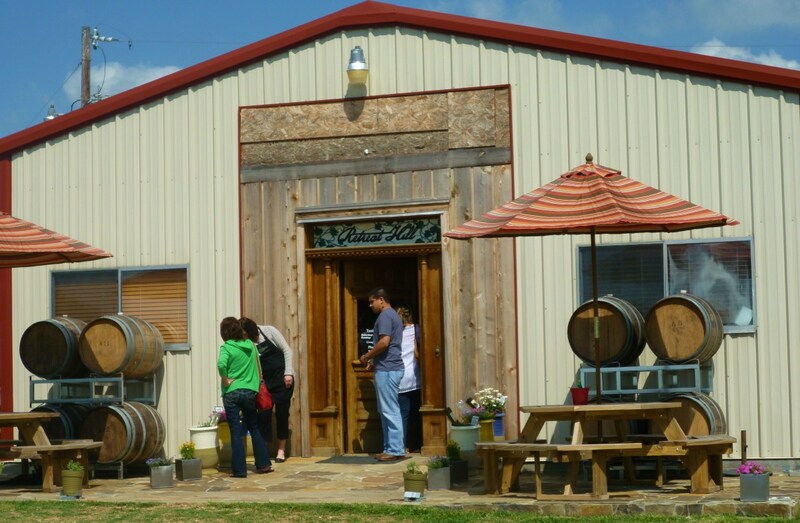 Bluebonnets, Indian Paintbrushes, primroses, and more! They should all be blooming soon. Dandelions have been out for several weeks already up her north of Dallas. Spring is my favorite season in Texas because everything is lush and green and flowers are everywhere. Voted up, BA, and will share! Thank you Lady Bird. and thank you Peggy. There can never be too much beauty to decorate this lovely planet. Wildflowers spied as we drive along cannot but help make us smile as we go by. Their explosion on the landscape just brings an unexpected burst of color and beauty for us to enjoy. I totally agree with you! Driving the highways & byways of Texas with all of the bluebonnets + other wildflowers in glorious bloom each Spring is so delightful. So glad that you liked my photos. Thanks for your comment. I lived in eastern Texas for a brief two years. There is no finer drive than a Texas state highway in the spring time. Thank you for sharing some great photos. Too bad the Texas wildflowers and bluebonnets were not as spectacular this year by way of numbers. Just too dry a year when the emerging plants needed water. Maybe next year! Thanks for the compliment and also your comment. Hi Peggy, I'm always discovering something new in your collection of hubs. 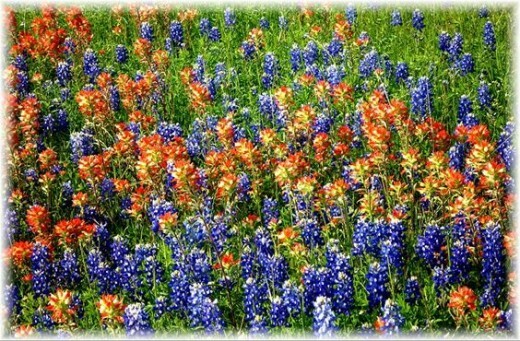 I just love this one on Texas wildflowers! I've photographed many of them myself, but never knew the names of many of them. Your photographs are spectacular! Perhaps you are right. 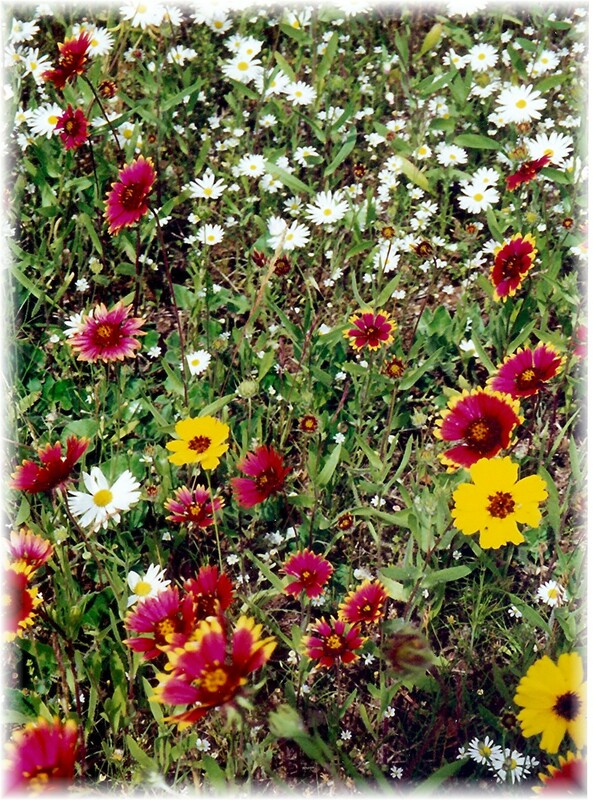 Wildflowers in any guise are always welcomed and add splashes of color whereever they are found. We have lots of wild flowers, but not these - I think they like warmer and drier climates than south England, perhaps? Do you have bluebonnets growing in your area? I know you would have wildflowers as they grow everywhere. It really is pretty around Texas in the Spring of the year and Lady Bird Johnson is partially responsible for the grand show along the highways...not only in Texas but all across America. How wonderful! I really enjoyed this. Thanks for the wonderful compliment. Yes, the photos are mine unless otherwise identified. 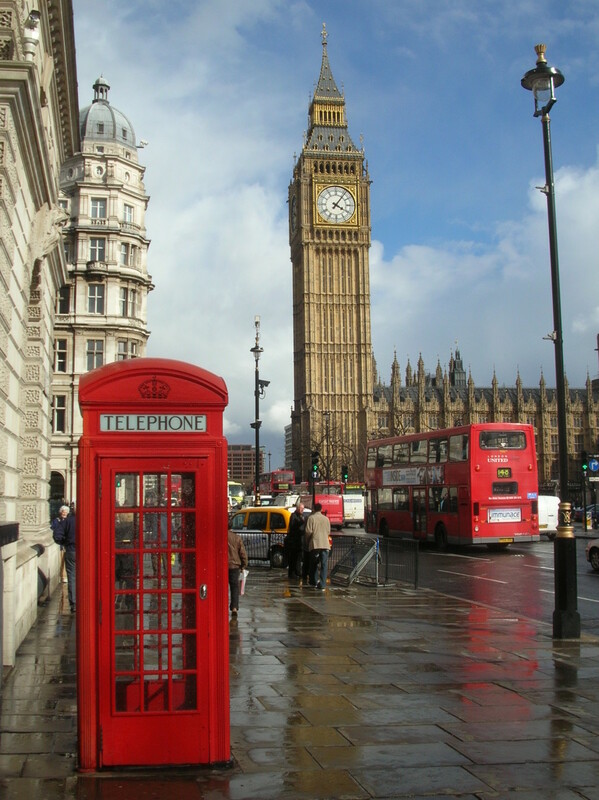 I told someone in another hub that my favorite souvenirs of travels are my photographs. When I get home, the first thing I used to do was have the film developed (prior to digital cameras, of course) and then assemble them into photo albums. I took daily notes when traveling so as to make the identification process of the photos easier. So glad that you are enjoying these hubs. Have many more to write...so stay tuned. Peggy, I have to tell you. I have browsed all of your hubs and you always have such fantastic pictures. It is amazing. I haven't read your full profile but did you take the majority of pictures in your hubs ? The reason I ask is just there are so many diverse and beautiful places you write about and have pictures of.. It seems a life well lived. Beautiful photos. Thank you so much Raven for answering Iphigenia's question. Am sure it will answer it for others as well. Texans have a lot in which to be proud! We love living here! Happy Easter to you and a virtual hug back to you. Hi Iphigenia. Blue bonnets are not blue bells. Blue Bells (Wood Hyacinth) latin name Scilla nonscripta. 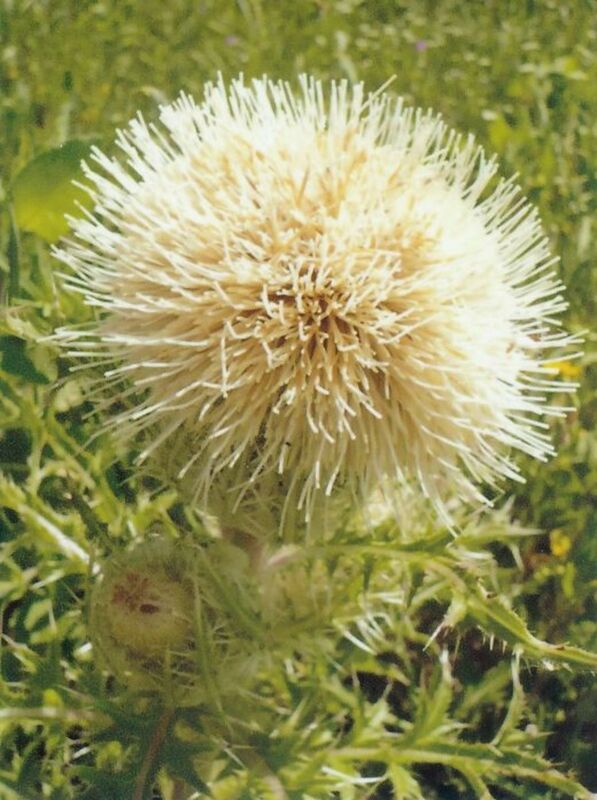 Flowers are larger and droopy. Blue Bonnets are the state flower of Texas. 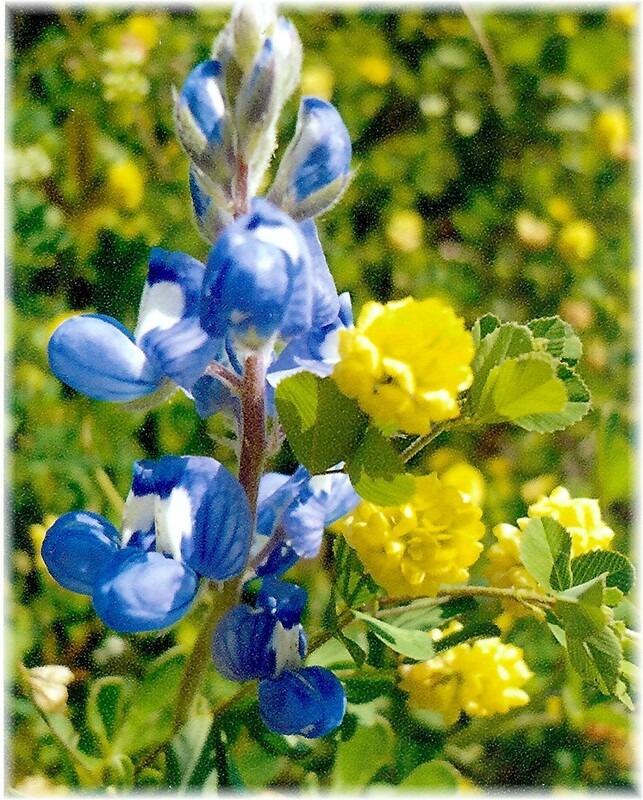 Blue Bonnets latin name Lupinus subcarnosus. 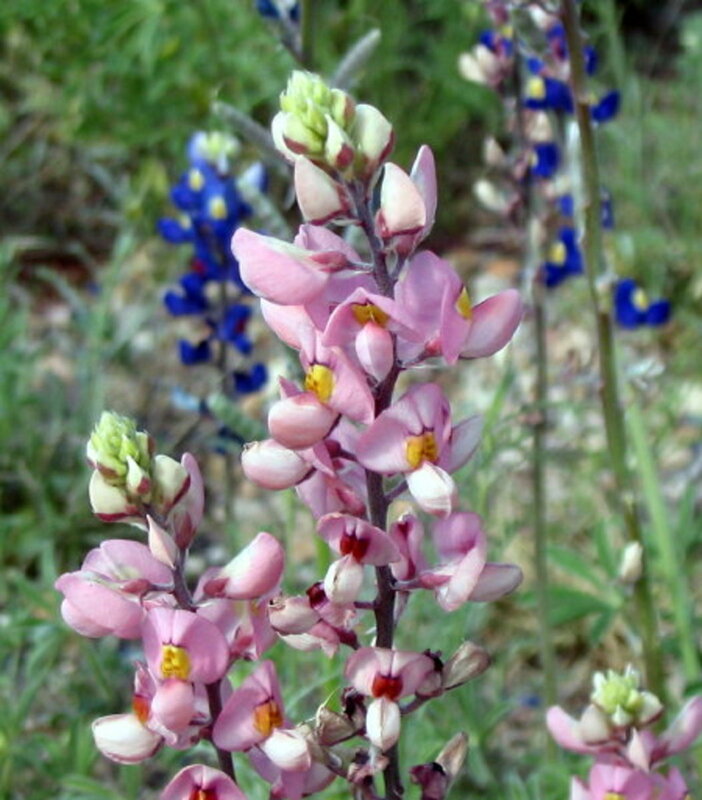 Flowers are smaller and pointed like wolf's teeth hence the name Lupinus. Peggy your hub reminds me that I am proud to be a Texan. Happy that you liked the photos. Thanks for the comment. I have no idea if they are the same in fact. It is certainly possible. As to Jack in the Box......we have them here also but they are more like little violets not at all similar to the bluebonnets. Guess we need a botanist to answer this question for us. Lovely - I wonder are bluebonnets the same as the flowers that are called bluebells in the UK an here in France jacinthe de bois - I think the botanic name is wood hyacinth ? Happy that I could bring back some of these memories for you. This truly is a beautiful time of year down here. So much color in the fields as well as our yards. Our azaleas have peaked but put on quite a show this year as did our camellias and redbud tree. Since we have not had a good hard freeze all winter, our impatiens, begonias, salvia and other plants are adding so much color to our yard. The Easter lilies have buds about to open. We especially like this time of year prior to the heat of summer arriving. Thanks for your comments, Jerilee. The Biltmore Gardens are gorgeous. With Lady Bird there and all her entourage of secret service, were you able to roam freely or were you kept at a distance until they left? Just curious. We also got to see her, although at a distance at their country residence outside Austin. They were setting up tents and loads of chairs for some kind of outside event. She was quite the lady in every sense of the word. You must have been hiking in Spain in the Spring? We were there in the summer and the places we got to see.....Madrid, Toledo, Barcelona and Majorca had the usual amount of flowers but not the impressionist painting you described. Hi Lupo, I remember those days when we lived in Wisconsin. Sometimes the tulips would start popping up through the last vestiges of snow and they were so welcomed! It meant that soon we would be seeing so much more. Glad to give you this virtual peek at Spring. Wild Texas bluebonnets in a field awash with them is one of my fondest memories of living in Texas years ago. Great hub! Beautiful. I love the wildflowers that are planted along the interstates, too. Once when we were evacuated from a hurricane (Floyd, maybe) we ended up in Asheville, NC, and took the opportunity to visit the Biltmore estate -- and there was LadyBird Johnson, visiting the Rose Garden, with all her secret service men (who were real cute). It was like seeing a piece of American history (I'm not usually a gushy, patriotic type; in fact, not at all, but it was neat to see the lady). One of my favortie memories of hiking in Spain is all the wildflowers along the roadside like an impressionist painting. Glorious. Thanks for this lovely hub. Thank you for the great early (virtual) spring Peggy! Some flowers have popped up here but things are still pretty gray. Somehow I am not surprised! Ha! OK John and GT, Think I'll let the two of you duke it out. Ha! Hey GT, We do have a few other sports teams in Texas! Ha! Hey goldentoad, Silly in like crazy like a fox? We love it here! Very friendly people!!! As Bob Barker used to say, "Come on down!" You'd like it. Hi C.C., You are up late like me. Just published this and you, John and goldentoad have already commented. Wow! Glad that you liked this one! Hey John, As you and I well know, Texas is a beautiful state! Guess we need to show folks more of Texas through our hubs. Thanks for the comment. Texas is a silly state, but I like your hub PW! What an amazing hub. I hope people who think of Texas as just a silly state with nothing but tumbleweeds and flat roads read this hub and see how beautiful and lucious Texas really is! Thanks for the great hub! And the cool photos!